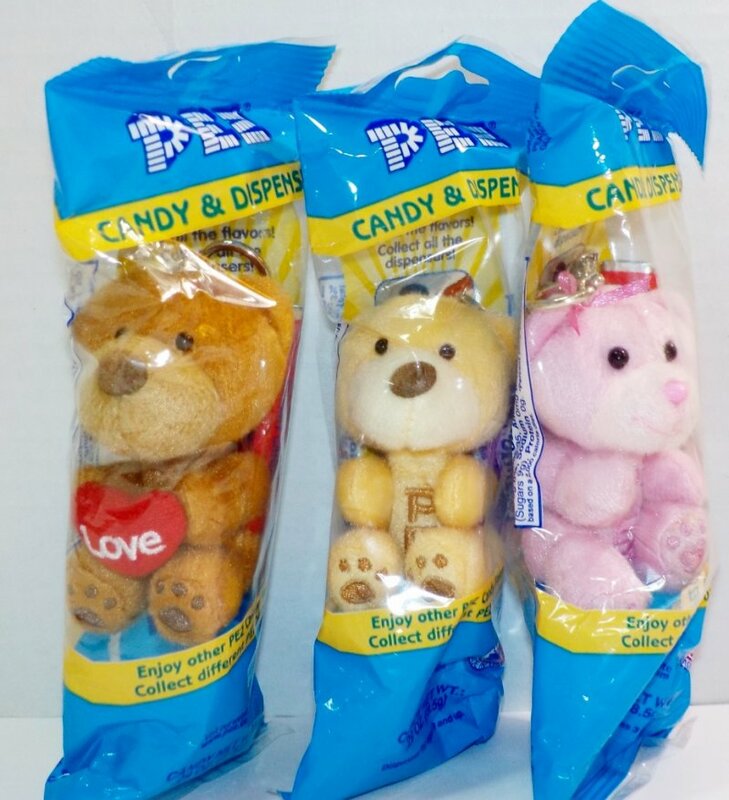 The 2017 plush set of Pez Cuddle Cubs Valentines Bears. They come in blue or red cello bag. 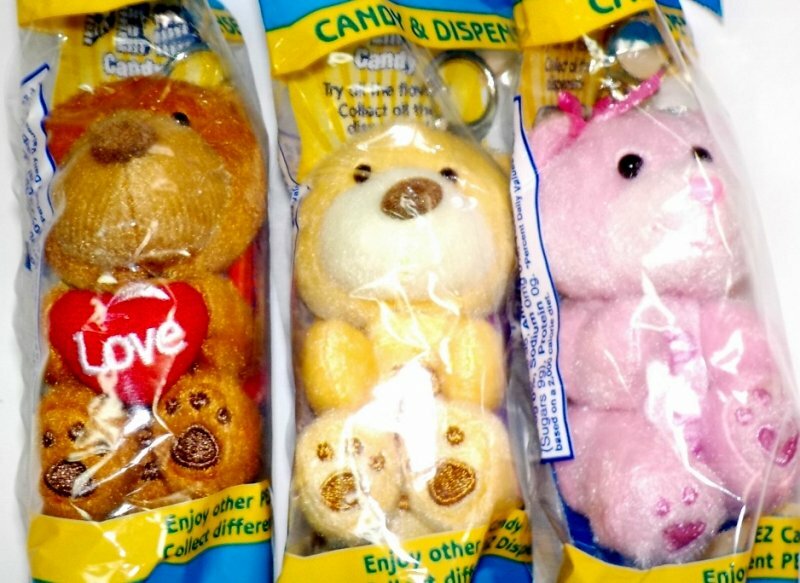 This set includes the Brown bear holding a LOVE heart, a Yellowish/orange brown Bear and a Pink Bear with a pink ribbon bow. 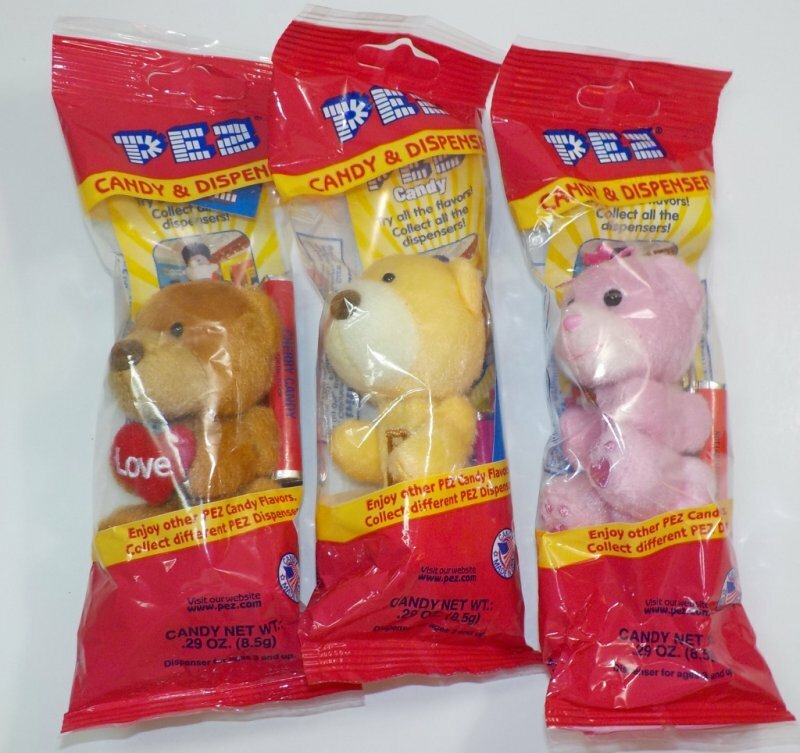 The bears have cute little paw pad prints on the bottom of their feet and PEZ embroidered on chest/stomach. Will sell separately upon request. Ages 3 and up. 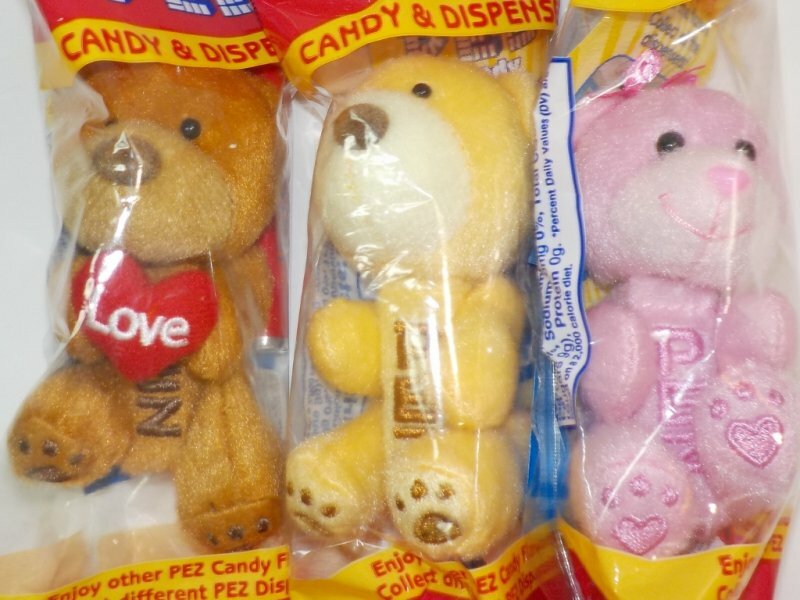 Small parts may pose a choking hazard children under three years of age.